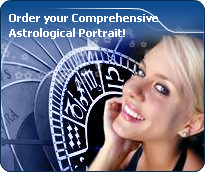 The natal chart comprises four astrological quadrants. The North-Eastern quadrant (Houses 1,2,3), the North-Western quadrant (Houses 4,5,6), the South-Eastern quadrant (Houses 10,11,12), and the South-Western quadrant (Houses 7,8,9). When numerous planets are posited in one of the four quadrants, it becomes dominant and has his own interpretation. Associated keywords for this dominant quadrant could be for example: strong will and autonomy, smartness, ability to learn knowledges and earn money.